The East Orange Board of Education consists of seven members who are appointed by the Mayor of East Orange. The board works to ensure that all stakeholders—administrators, educators, and students—meet or exceed the district’s educational goals. Board members volunteer their time and expertise to set district policies, allocate budgets, set district goals and priorities, and hire and retain exceptional staff members. We welcome your attendance at any of our regular board meetings, which take place at the Administration Building in Conference Room A, 199 Fourth Avenue, East Orange, NJ, unless otherwise specified. Please also view our annual meeting notice for more information. Terry M. Swanson-Tucker is a dedicated and consummate professional specializing in fundraising, event planning, and executive concierge. With over fifteen years in government, political, and corporate management, Terry has combined her education, business acumen, creative talent, and experience to create Swantuck, LLC. Swantuck is a boutique service that creates and hosts events perfectly designed to meet the specific needs of the individual and the occasion. Terry first discovered her passion and talent for fundraising and event planning while working for the Essex County Democratic Committee of NJ in the role of executive director. This propelled Terry to further get involved in community activities as both a volunteer and in appointed positions. These activities include organizations such as: Women Advocate for Good Government (WAGG), legislative direct liaison to Senator Nia Gill and Assemblywoman Sheila Oliver, PTSA president of the Essex County Vocational and Technical School, member of the East Orange Recreation Advisory Board, and the Essex County Regional School Board (appointed). While working full-time, and a mother of four, she effectively managed to serve as an East Orange Democratic Committee woman, serve on the East Orange Recreation Advisory Board, be a founding board member of the East Orange Junior Jaguars Pop Warner Organization and the former president of the Kuzuri Kijiji Tenants Association. Terry was later elected to serve as a New Jersey Democratic State Committeewoman and has been recently appointed to the East Orange Board of Education. Terry recently obtained a degree in sociology and currently serves as executive committee member for the Essex Regional Board of Education. This active and involved mother of four is now also a grandmother of five. Time has only increased Terry’s energy, vision, and fortitude to make the state and the community a better place. Dr. Kristie M. Howard has dedicated her life to public service in the City of East Orange. She previously served on the East Orange Board of Education from 2009-2012 and as vice president from 2011-2012. She also served as a member of the Rent Control Board and the Zoning Board for the City of East Orange. Dr. Howard is also a member of Delta Sigma Theta Sorority Inc., a public service organization. Dr. Howard was employed by the City of East Orange from 2003-2007 where she worked as the city’s grants coordinator and also worked for the Department of Recreation and Cultural Affairs. She is an educator by passion and began her teaching career in 1995 as a middle school teacher in the East Orange School District. She is currently employed as the director of student services at the Asbury Park School District. Before coming to the Asbury Park School District, her administrative career was spent entirely within the Essex County Vocational Technical School District for 10 years. Dr. Howard graduated with a bachelor of science in athletic training from Howard University and earned a juris doctor from Howard University School of Law. She also earned a master’s degree in educational administration from Seton Hall University. Additionally, Dr. Howard was admitted to the New Jersey State Bar in 2007 and subsequently later admitted to the United States District Court for the State of New Jersey. She privately practices law as a sole practitioner with the Law Offices of Kristie M. Howard, LLC. Most importantly, Dr. Howard is the proud mother of three children; Tierra, Carrington, and Chance. About Cameron B. Jones, Sr.
Mr. Jones, a 10-year East Orange resident, was appointed to the East Orange Board of Education in May 2008 and is serving a three-year term. As a member, he describes his primary agenda as maximizing the students’ experience and raising their levels of achievement and the attainment of their goals and aspirations. He believes that community involvement is essential in order for those goals to be reached. He sits on several board committees including legislative affairs, which he chairs, parental involvement, and CWA negotiations. Mr. Jones is the district office chief of staff for Speaker Oliver who made history in January 2010 when she became the first African-American woman to hold the top post in the New Jersey Assembly. He joined her staff in 2006 and works in the East Orange district office, which serves the constituents of the 34th Legislative District, which includes Clifton, East Orange, Glen Ridge, Montclair, and Woodland Park (formerly West Paterson). In his role, Mr. Jones has multiple responsibilities designed to fulfill Speaker Oliver’s goals and agenda for her legislative district. They include maintaining and managing the district office and coordinating constituent services and district activities. He serves as a liaison between Speaker Oliver and her constituents and works to ensure their issues and concerns are addressed. He serves as her representative at meetings and events and also coordinates her meeting and event calendar. Mr. Jones is also a member of the Essex Regional Educational Services Commission (ERESC), and he serves as a volunteer with the East Orange General Hospital Community Outreach Program. Tashia Owens-Muhammad was born and raised in East Orange by her loving parents. Mrs. Owens-Muhammad attended neighboring city elementary and high school, played on the drum line for East Orange High School, and attends Calvary Baptist Church. After graduating high school, Mrs. Owens-Muhammad furthered her education by attending Virginia State University. After obtaining her bachelor’s degree at Virginia State, Mrs. Owens-Muhammad returned to East Orange, became a wife, mother, and would begin her now 20-year career with the State of New Jersey Department of Children and Families Services. Mrs. Owens-Muhammad is a strong believer in the future of all children and knows that the best educational foundation is key. Marjorie Perry is the president and CEO of MZM Construction & Management Company, Inc. Marjorie built a career working for such corporations as 3M, Johnson & Johnson, and United Airlines before launching her own consulting firm focused on helping entrepreneurs succeed in the marketplace. Impressed by her insight and vision, MZM Construction, which was one of her clients at the time, asked her to join the business as a partner. Eventually Marjorie became the sole principal and CEO of the company. Under her guidance, MZM Construction has enjoyed over 20 years of profitable performance. Marjorie excelled in additional coursework at Rutgers, Stevens, NYU, and NJIT. She received her MBA from NJIT and completed leadership for the 21st century at the Tuck School of Business at Dartmouth College. Her passion for continuing education carries over into MZM’s commitment to keeping up with new industry developments and technologies that can benefit their clients. Marjorie has received numerous awards and recognitions, including being listed in New Jersey’s premier business publication, NJBIZ, as one of NJ’s best 50 women in business and as one of the top 25 entrepreneurs in New Jersey. New Jersey Governor Chris Christie selected Marjorie to be a member of the New Jersey Economic Development Authority. More recently, she was announced as the SBA’s 2012 New Jersey small business person of the year. Marsha Wilkerson was born in Washington, D.C. Mrs. Wilkerson parents later relocated to East Orange, New Jersey when she was in the 9th grade. Mrs. Wilkerson attended East Orange High School and participated in the color guard and several other programs supported by the school district but actualized in the city. After graduating high school, Mrs. Wilkerson furthered her education by attending Virginia State University. After obtaining her bachelor’s degree at Virginia State, Mrs. Wilkerson continued her education and enrolled in Seton Hall University where she received a master’s degree of science in educational media. Before retiring from the East Orange School District, Mrs. Wilkerson spent several years teaching at VLD, Costley, and East Orange High School. Mrs. Wilkerson also worked in the Orange School District as a media specialist where she developed the media standards with a team working on core curriculum content standards. Mrs. Wilkerson was responsible for the revamping and integration of technology at four of the schools within the Orange School District. Always interested in a new approach and innovative programming, Mrs. Wilkerson developed a relationship with the National Football Foundation and was able to successfully implement the “Play It Smart Program” for the Orange School District’s football team. Track and field has always been a magnet for Mrs. Wilkerson’s attention in the East Orange Recreation Department as well as within the East Orange School District with the Jaguars. Her involvement with the Junior Olympics and the East Orange Striders extends beyond 30 years. In the community, Mrs. Wilkerson is a member of the Arts Council of East Orange Board of Directors, Youth Ministry at New Hope Baptist Church of East Orange, and a board member at Harrison Park Owners, Inc.
Education has always been the primary focus of both Mrs. Wilkerson’s professional and volunteer life. As we move forward, she contends that we are all charged and challenged with providing the very best for our educational community. Without exception, we are bound to work together as one body, moving in the same direction, giving our best, and expecting the best from all stakeholders. Mrs. Wilkerson’s goal is to continue seeking to effectuate excellence without excuses. We invite you to join us for our upcoming meeting. You may preview an agenda here. To keep you informed, we have archives of our minutes from past meetings. 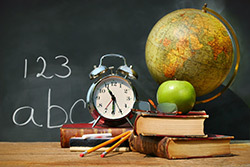 Please visit our Board of Education Archives page to find agendas and minutes from the previous school year. Our district policies are available here for your review. You may view the complete set of policies or refer to the desired section.